What's next for Ford social and Scott Monty now that he has left the company? Ford has always had a solid social media program and were amongst the pioneers of new media as a marketing venue. Scott Monty was a driving force for their social success and has left the company. This may come as a bit of a shock in some circles, but I've left Ford Motor Company. After nearly six years with the company, I will be pursuing something else - the subject of another announcement that I'll make soon. So, we'll find out what Scott Monty has next on his agenda soon enough, but what about Ford? Is there anything that will be changing with their social media program now that he's gone? Is there anything that needs to be changed? Scott Monty posted a blog titled "Driving Into The Sunset", here is an excerpt, and I encourage all ADM Members to visit Scott's blog and sign up to follow his posts... Because I have a feeling we will be hearing about Scott Monty's next mission soon enough! "This may come as a bit of a shock in some circles, but I've left Ford Motor Company. After nearly six years with the company, I will be pursuing something else - the subject of another announcement that I'll make soon." "During my time at Ford, I've had the pleasure of working with some of the most talented men and women not only in the auto industry, but in the communications and marketing industries as well. Together, we created a presence for a 110 year-old company that has given new audiences and new customers a different view of what it's like at a manufacturing and technology leader." "I've been in the presence of great leaders like Alan Mulally, Jim Farley and Mark Fields. I've had colleagues like Karen Untereker and Craig Daitch who took a fledgling digital team and made it stellar. I've been part of award winning work that goes beyond the contributions of any single individual - certainly myself included. We've been the first brand to reveal a vehicle on Facebook, the first brand on Google+, and our work continues to be celebrated by many." "Much speculation has happened over the eventuality of this day, and I've always been confident that the team and the Ford brand are much stronger than any single individual. While I've been the online face of Ford, interacting with people on blogs, Twitter, Facebook, forums, websites, traditional media and elsewhere, the operation is bigger than me, and we have a cadre of people who will do just fine. I'm flattered to receive such attention and credit, but I'm far from deserving of the accolades." 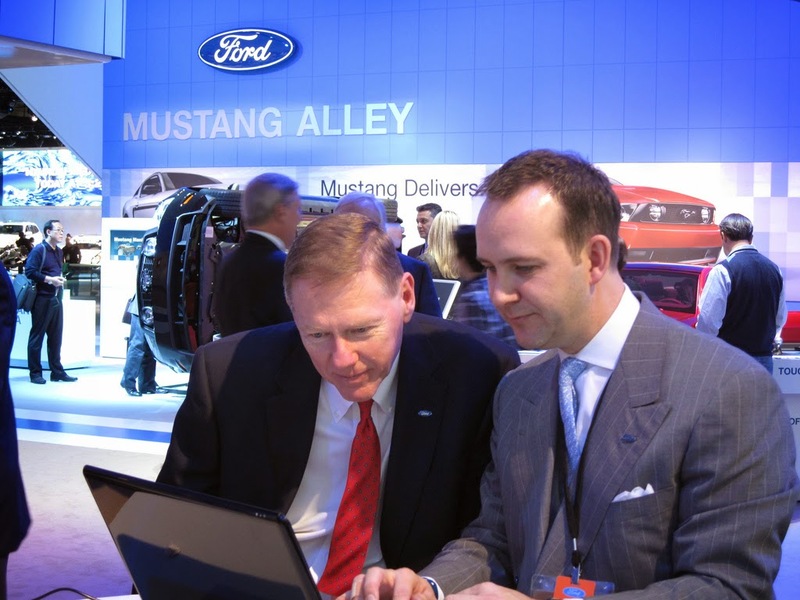 Scott Monty never imagined he’d be in this position - in charge of social media for Ford Motor Co. as the Dearborn-based automaker’s global digital communications manager. Monty, 41, was a lifelong East Coast resident before being recruited to Ford in 2008, and he had embarked on a career in the medical industry after graduating from Boston University. The job Monty and Ford have done building a social media presence has garnered widespread praise within marketing and trade press circles. The company is widely acknowledged as a social media power, especially in comparison with other automakers (as one measurement, Ford’s Facebook page has roughly 900,000 “likes” by Facebook users, compared with around 300,000 for General Motors Corp. and 235,000 for Chrysler Group LLC). It has rolled out a string of measurably successful online campaigns that have helped it connect with customers and given Ford’s persona a lift. For his part, Monty says that Ford’s revamped product line is the foundation of the company’s digital successes. The two Ford Marketing executives who invited me to the meeting told me afterwards that I should not get too excited about Mr. Monty... Later on when we went back to Regent Court, they explained to me that Scott was an outsider with radical ideas and would most likely not last six months at Ford Corporate HQ. Six months later, both of those two Ford executives had left for greener pastures and Scott Monty was just starting to flow his roll, in a big way. I would like to congratulate Scott Monty for accomplishing what so many thought could not be done... To take a very conservative, old money, family dominated brick and mortar manufacturing company and turn them into one of the most successful case studies on social media marketing in the auto industry, or any other vertical for that matter! Well done Scott... Mission Accomplished... And you exceeded EVERY CAR GUY'S expectations for where you were able to take Ford Motor Company in the realm of social media by a wide margin. He definitely lasted longer than they expected, brought more excitement to a brand that, at the time, was just at the beginning of their tremendous rebound, and changed much of the car business in general with his "radical ideas". Scott lived what he preached and his presence in Social Media is branded as much to him as it is/was to Ford. His future is whatever he wishes it to be given the legions of friends that will surely follow him wherever he goes and in whatever he does. After all, what are friends for. That said; OK Scott, ready when you are to discuss shared opportunities! Call me! I heard he was going to go to work for the Auto Social Media Giant Dealer Authority, you never know with JD Rucker and company!